One of contemporary jazz's most unique voices pays respect to another unique voice. Composer, bandleader, saxophonist, and flautist Henry Threadgill had a good thing going with his modern jazz ensemble Zooid. After a considerable hiatus from recording, the group released four albums in six years' time (the latest being a double), all of which maintained Threadgill's reputation for a challenging and wholly unique musical force among a genre specked with traditionalists and copy cats. Now, there has been a slight change in plans. Lawrence D. Butch Morris, cornetist, avant-garde conductor extraordinaire and a close friend to Threadgill, lost his life to lung cancer in 2013. Old Locks and Irregular Verbs is an extended composition, commissioned by the 2014 Winter Jazz Fest, dedicated to Morris's memory. Henry Threadgill formed a new band for the occasion named Ensemble Double Up. Jason Moran and David Virelles are featured on pianos, Roman Filiu and Curtis MacDonald both play alto saxophones, Christopher Hoffman handles the cello, Joe Davila fills out the bottom on tuba, and Craig Weinrib holds it all together on the drums. This time around, Threadgill does not pick up an instrument. If you have never heard of Lawrence D. Butch Morris (if you bothered to click on this review, chances are you have heard of him), do not feel bad. His music was not exactly accessible, even within contemporary jazz circles. One thing to take away from this is that his passing now leaves an enormous gap in the music world. There wasn't anyone quite like Morris, before or since. Had he stuck to just playing the cornet, his chops and collaborations alone would have sealed his reputation. Instead he turned to conducting. Butch Morris conducted large ensembles the way that some people prepare their food -- through improvisation, experimentation, and a need to discover the thus-far undiscovered. Releases like Dust to Dust, Holy Sea Vol. 1, and the large-scaled Berlin Skyscraper and more all proved that when Lawrence D. Butch Morris waives a baton in front of an ensemble, anything could occur. You can't commemorate this man's passing with any old toot and blow. Any musical attempt to honor Morris has to be as unique as the subject himself. Henry Threadgill, for his part, does not attempt to make music that sounds like a Morris "conduction". When Threadgill composes music, it inevitably sounds like Threadgill's music. At the same time, it's a few steps removed from the style of Zooid. There are still oblique melody lines played in choppy rhythms, and repetition remains a non-factor. But the fact that this music is being performed by Ensemble Double Up and not Zooid gives those familiar passages just the slightest difference in flavor (Hoffman and Davila are the only musicians who are members of both bands). The presence of piano, let alone two of them, is enough to change the music's character. In fact, Old Locks and Irregular Verbs starts with a tremendous, impressionistic piano solo from either Moran or Virelles (or perhaps both) that lasts for three-and-a-half minutes. Old Locks and Irregular Verbs is split into four unnamed parts, indicating that it should be approached as one 46-minute piece of music. Wonky harmonies and prolonged solos carry the day for the first three movements. By the last track, Threadgill is just starting to feel very down about losing his friend of forty-odd years. The piano begins somberly and then grows greatly agitated. As Filiu and MacDonald enter the mix, backed by Weinrib's rolling thunder, the track begins to sound less and less like Henry Threadgill and more like Charles Mingus suffering from heartache and a toothache. A dissonant yet mournful chord brings the piece to a close. 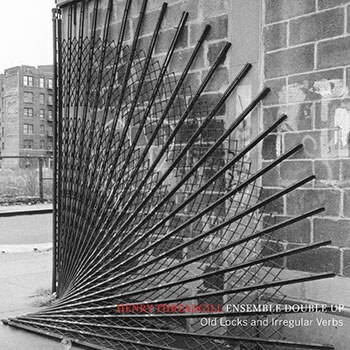 Henry Threadgill may be in his early 70s, but he continues to make music that sounds like no one else. Even when he branches out and doesn't quite sound like himself, he remains inimitable to a startling degree. Could 2016 be the start of a new chapter for Threadgill? Let's hope we all remain this vital when we surpass retirement age.